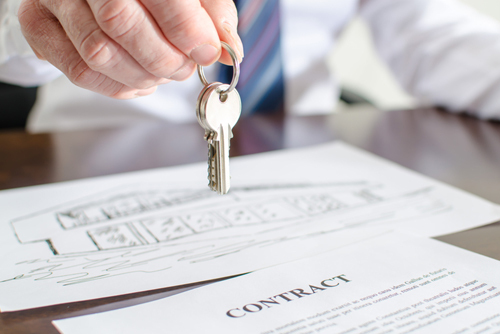 When it comes to property management and contracts, how much do you know? Buildings of a certain size require professional management to keep everything running. Hiring management companies to run a building starts with a contract. Want to discover what property management contracts actually involve, then read on and find out more. Property managers usually work under contract. They are the ones that handle everything that goes on in the administrative work that happens daily as part of a building or living community. This can range from everything to finances to sensitive information and legal issues. Whether it is a condo, a co-op, homeowner association, or private building, having what a manager does spelled out clearly in legal print is necessary. A contract can help resolve any issues in the future by referring to what was agreed as well as protect both parties from the other or unexpected things that may come up. You may already have heard the phrase “read the fine print” before, and it’s a saying for a reason. Whether you are penning a contract with an attorney or reading one with the help of an attorney (optional but a good idea), everyone involved needs to have some idea of what is going on. You’ll also need to be aware of what terms need to be in a management contract and which need to be left out. These contacts are usually formed between a building and a management firm. These companies will usually have standard contracts that are used for these types of things and customize them as needed. When a community hires its own agent, it will use its own employment contract. Most of it is very standard, and then 15% is usually customized. Contract agreements may call for exclusive appointment of the manager and will detail employees’ duties in the building. The manager’s duties will also be listed. This may include hiring, payroll, supervision, and more. It may also involve contacting businesses for repairs and maintenance, handling decorating, and more. It may even stipulate repairs over a certain financial amount may need owner approval. You may want it put in your contract that the management company will not be in charge of all finances. The person who collects the money and the person who pays the bills needs to be different; otherwise it creates the prime environment for embezzlement opportunities. Whether a board member or a money management company is running finances is up to the building. You may also want to cover insurance in the agreement. This will let you control whether you or the management company selects insurance on behalf of the building. At the end of the day, this is a legal outlining of what the management company will do for a building or organization. Treat it as such and make sure it’s all covered and in there. You may want to include a termination clause that says that the board can terminate contract with or without case with prior notice. You may want to cover transitioning from the old to new management as well. Note when the contract expires and if there will be a manual or automatic renewal. This is important! Most agencies want a long term to get maximum cash, but buildings want the opposite. You don’t want to be stuck with an agent– so decide the length of contract with a board and nail down whether it’s 1, 2, or 3 years. Involve a lawyer or attorney in the process to ensure that everything in the contract is as it should be. Only they will truly know what should be included and what should not. You should also do research about the company you’re considering before making up a contract. Ask the residents of properties they manage and go online to get an initial idea and do your homework. Meet the agent that will be representing your building personally and feel them out. Be sure to also see how the schedule will be; whether they are there for certain hours or pop in as needed from building to building. If you will be paying, know what you will be paying for. Renewal time later is also a time to get more services for little to no extra cost, so remember that. If you want to have the option to change companies, write that into the contract and look for another far before the contract’s up as well so you have a better option to transition to. Making and reviewing a contract can be complex. Make sure you know what’s in it before signing on the dotted line, consult an attorney, and you should be fine.